Home office is sometimes often hard to clutter particularly when deadlines come early and have to do just in few days. Most people can’t do their best if the workplace looks like a disaster. 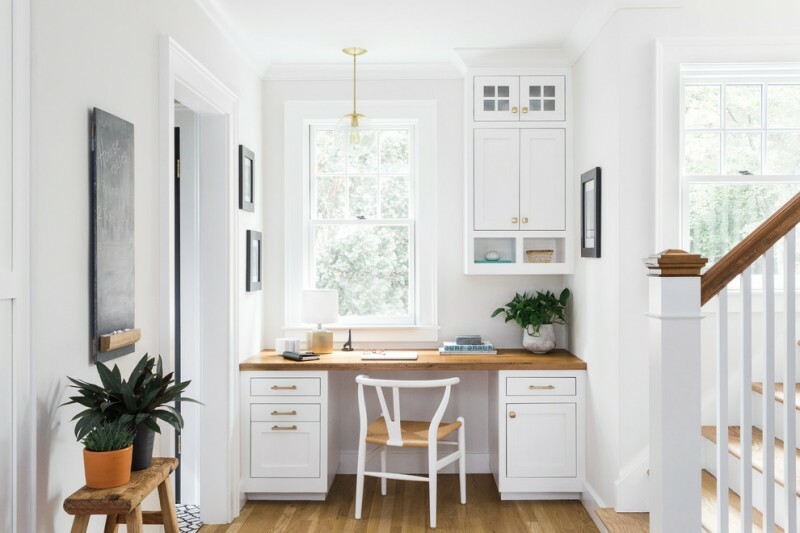 Make it tidy and all things in well-organized just by re-modeling your home office and selecting the best furniture & storage solution for a practical & pleasant look. 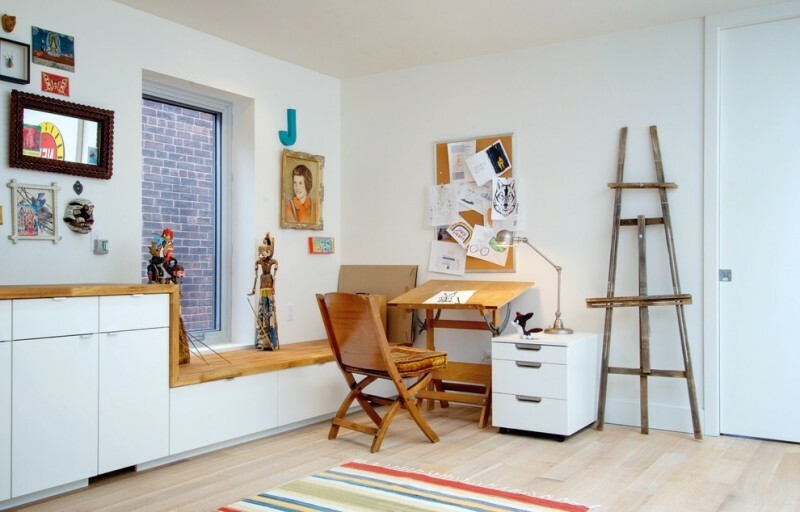 With such a home office, you convincingly can be more productive to work. Talking more about the storage solution for home offices, you have hundreds options to choose. They are designed for different practical uses. Wall organizers, for instance, are particularly designed for conquering a pile of papers or documents. 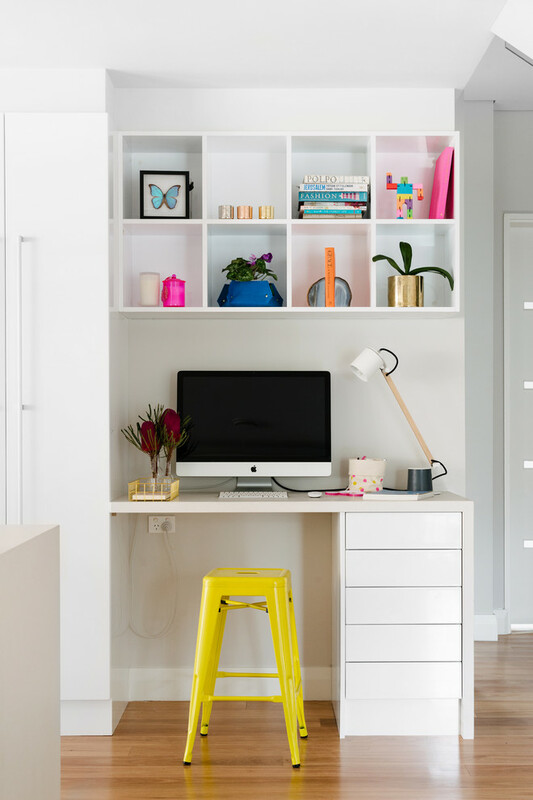 Well, the following hacks probably help you solve your biggest problems of untidiness usually daily faced when coming back to your home office. 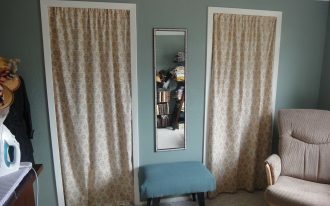 For you girls who have sewing hobby, make your ‘home office’ much more pleasing. This idea seems to be the best recommendation to try. 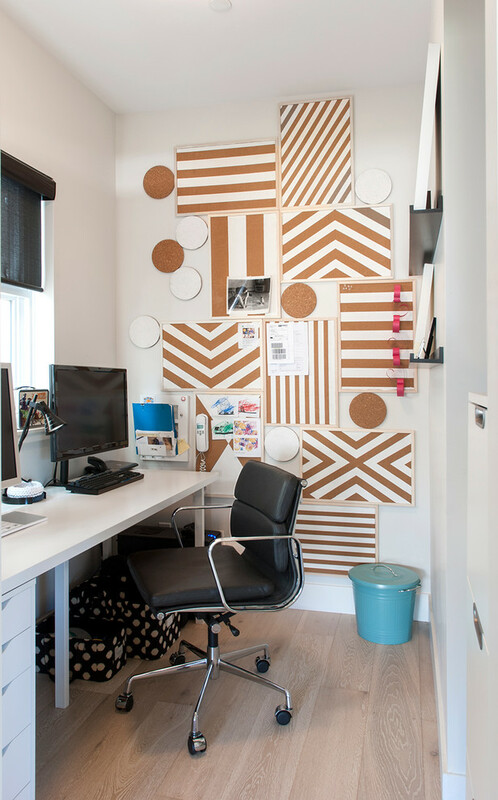 Colleen Slack has designed a fabulous working space complete with amazing zig-zag murals and several single wall shelf units for sewing essentials storage. If you like black doff for your interior, just try this idea. Colorize your black doff interior walls with such simple wall shelves. 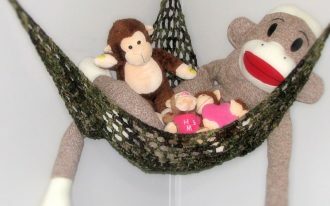 They are ideal for any kinds of stuffs including books, picture frames, and even decorative potted plants. 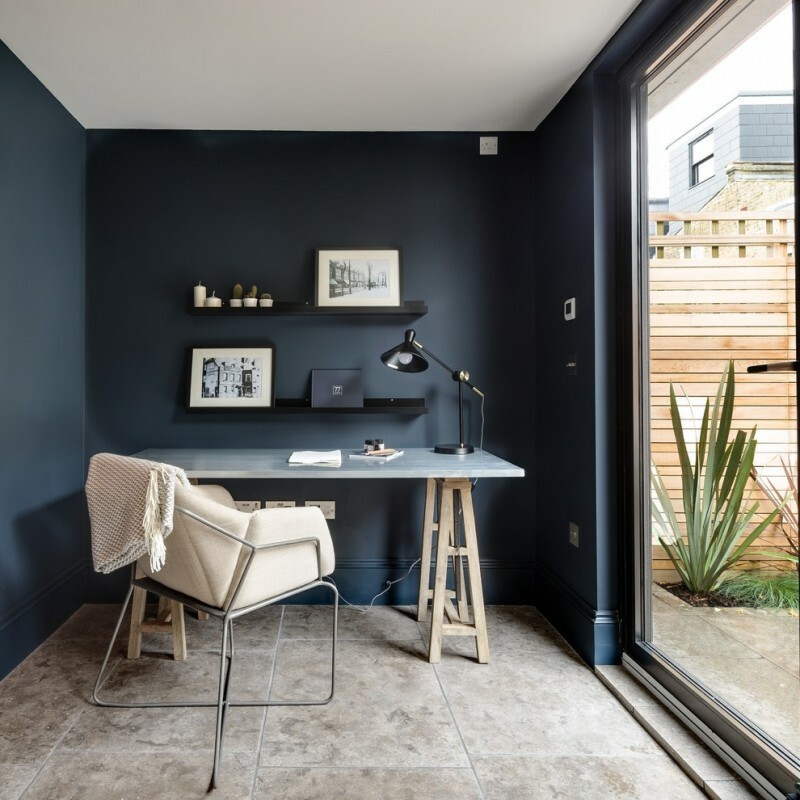 A scandinavian style home office with dark blue painted walls and white ceiling for a clean line interior. Make it contrasting with black floating shelf units for a modern wall organizer. Use them for displaying your picture frames, succulent ornaments, or even books. What a simple wall organizer it is! 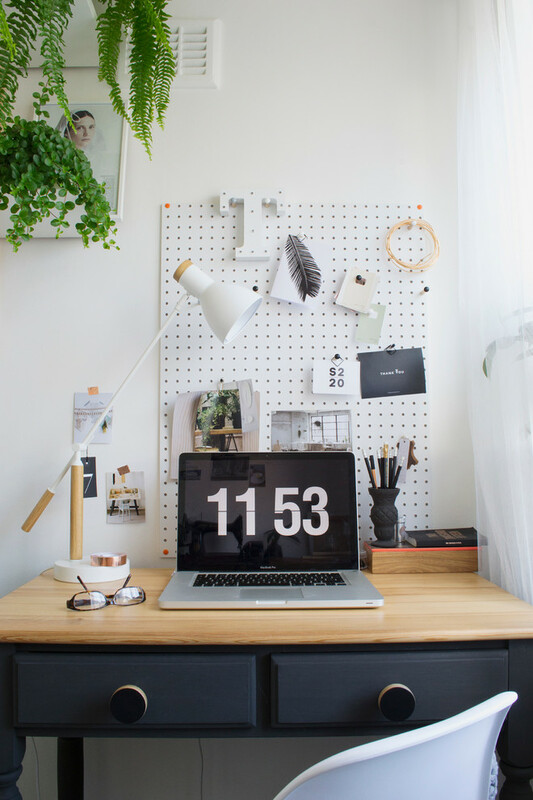 It’s a pegboard in white and it’s accented by small dots decoration. Its simple design makes you easier to create by your own hands. This board can be an effective remainder for some written agendas/ schedules you have written down and pinned on this board. 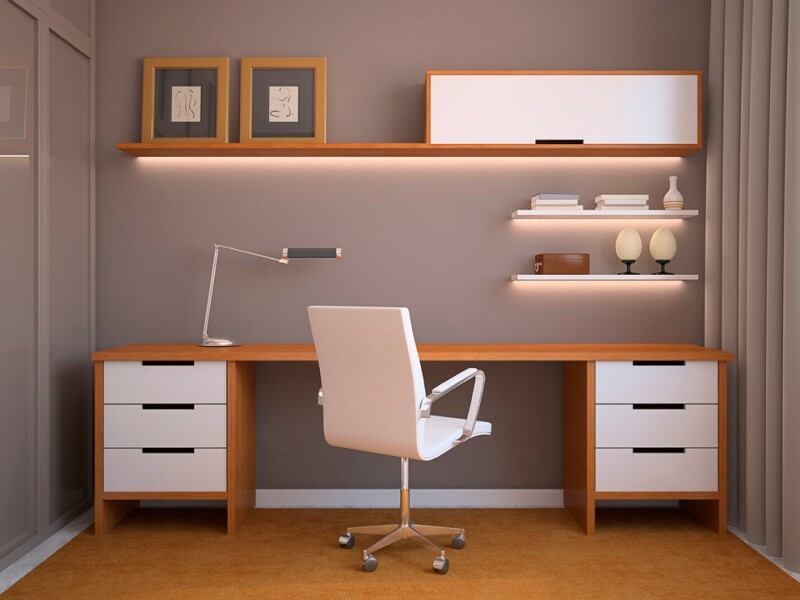 Create all-white interior concept for a clean office space. Give a little flavor of natural warmth by involving some unfinished wood furniture sets and accessories. Add other soft-toned complementary office equipment like this soft blue study light fixture. About the storage solution, a simple lightweight metal board is well recommended to choose. Complement it with cute wood pins for sticking your notebooks or other essential notes. 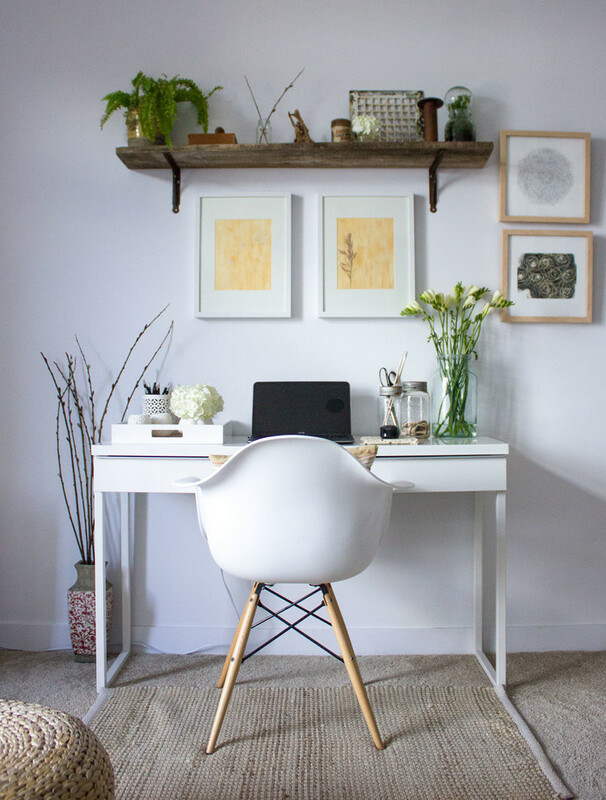 Furnish your lovely office space with something organic for a natural flavor. These wood book shelves, for instance. The design offers a huge space for large mass of books. Such kind of shelves are quite ideal for you book lovers. Wood board with frame can also be a simple handmade wall organizer for your home office. Add some decorative items like plastic-made savage ornament and other wall arts. Make sure that the color you choose fits the color applied on another wall system. 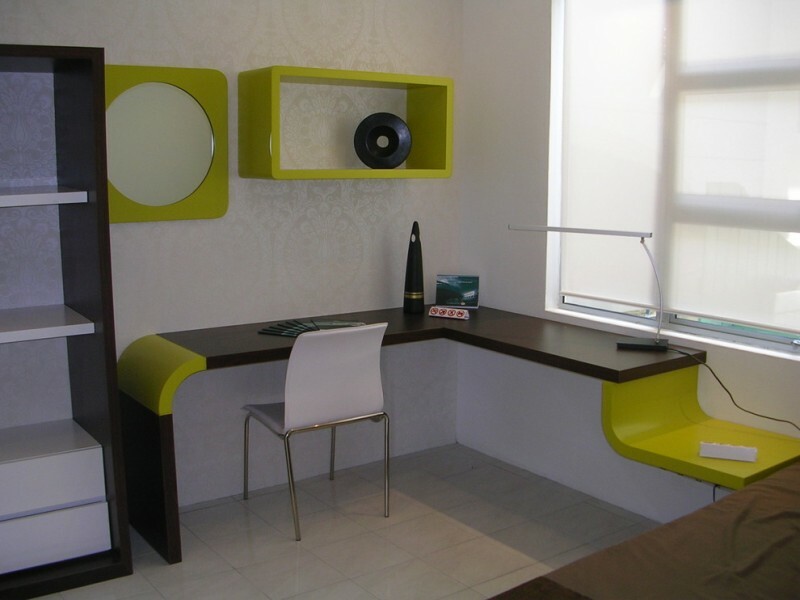 A modern home office furnished with expensive office furniture sets and storage solutions. Here, the lightweight steel shelves are involved for an effective and durable storage unit. They are able to accommodate the office needs like document maps, books, and even decorative stuffs. The chosen color is significantly contrary to the desk. Modern minimalist home office supported with clean lines shelves. 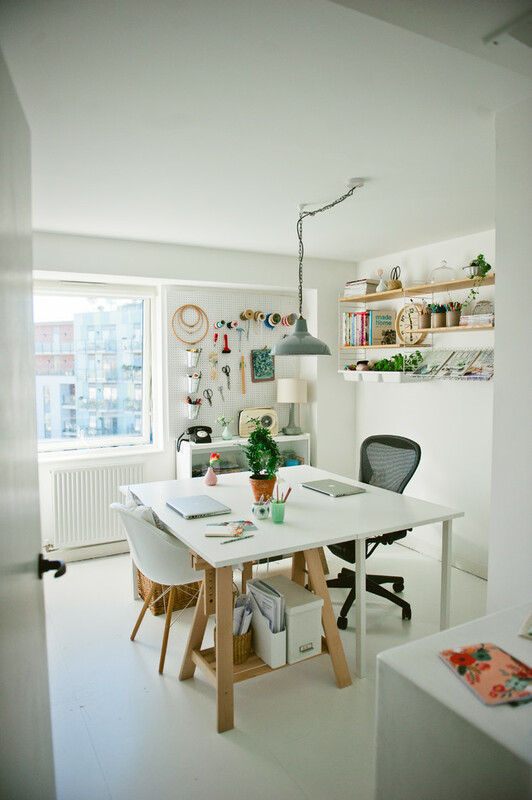 All-white office stuffs bring simpler and larger visual effects, really matched for a small office space. Yellow plastic chair here is used for double roles: as a working chair as well as a direct focal point. Whimsy meets chic, this is really good to apply. The wall is full of simple yet creative wrap paper ornaments. Probably no one knows that these wrap papers are used for a practical wall organizer, especially for sticking the notes and other written papers. 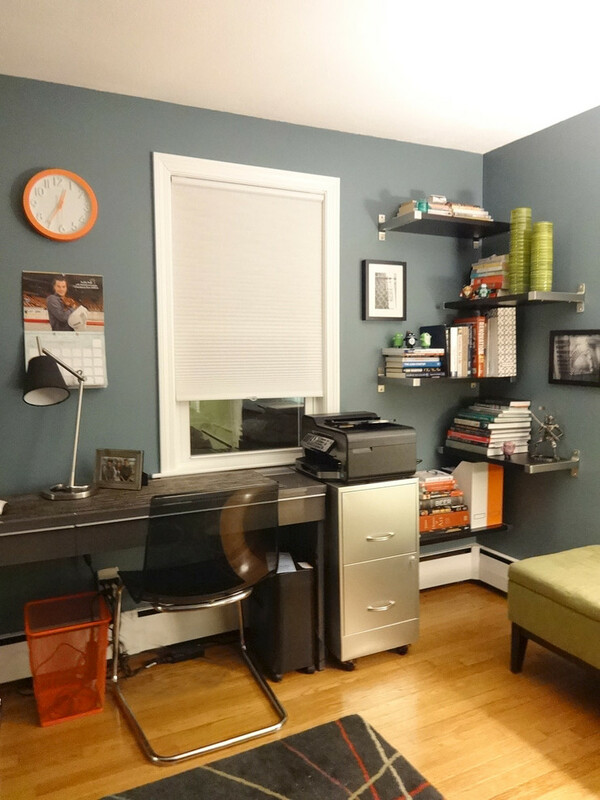 This idea of home office is great choice for a small office space. 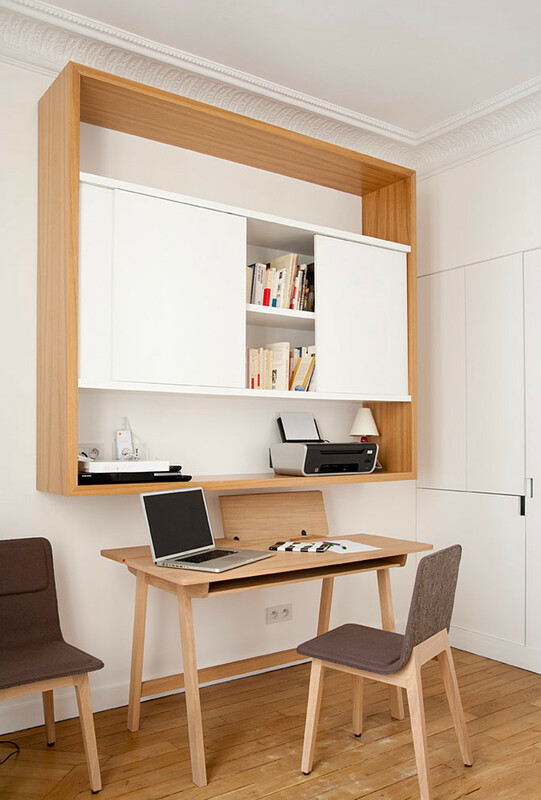 The storage solutions are provided in two different spots: a wood shelf over the desk and side shelves integrated with desk. All office furniture is made of best wood specimen and they’re improved with soft-textured and medium-tone finishing. 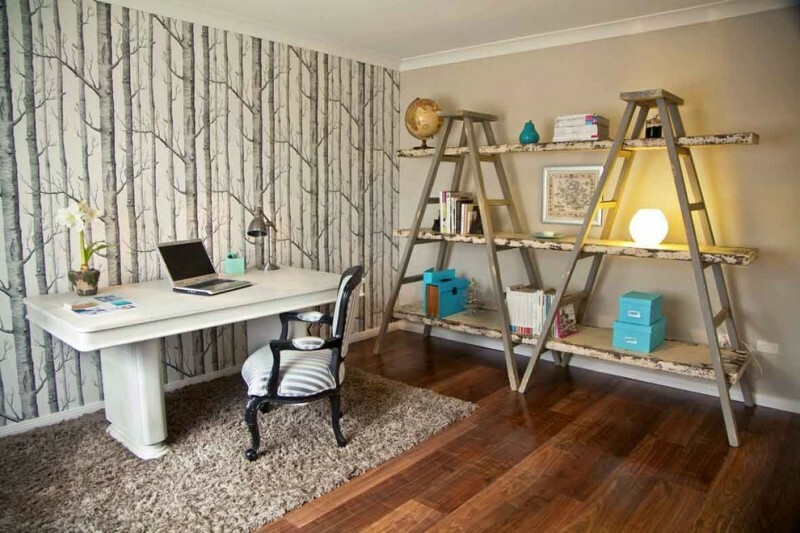 If you want something creative and unique for your home office, you can try something attractive like this shelving idea. A couple of ladder support retail display shelves for books. With this storage solution, you don’t have to arrange your books and keep them messy. Eclectic wall organizer for eclectic home office. 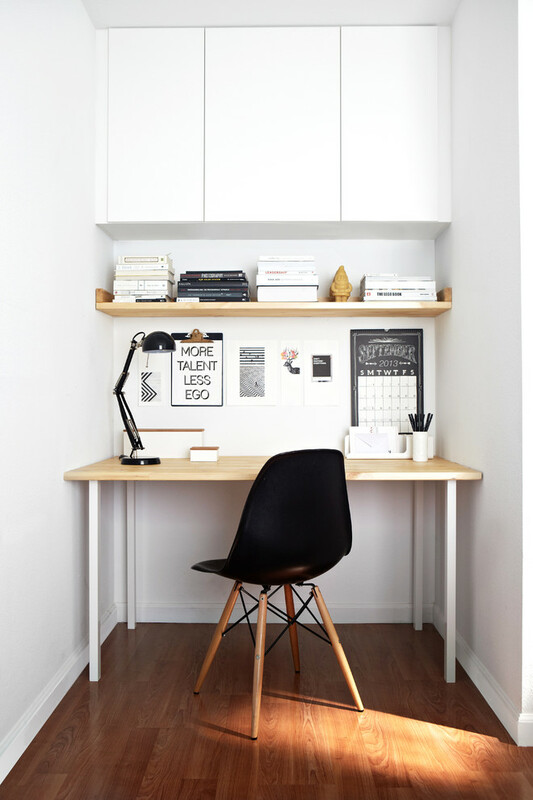 The space is supported by L-shaped free-standing desk and modern working chair. 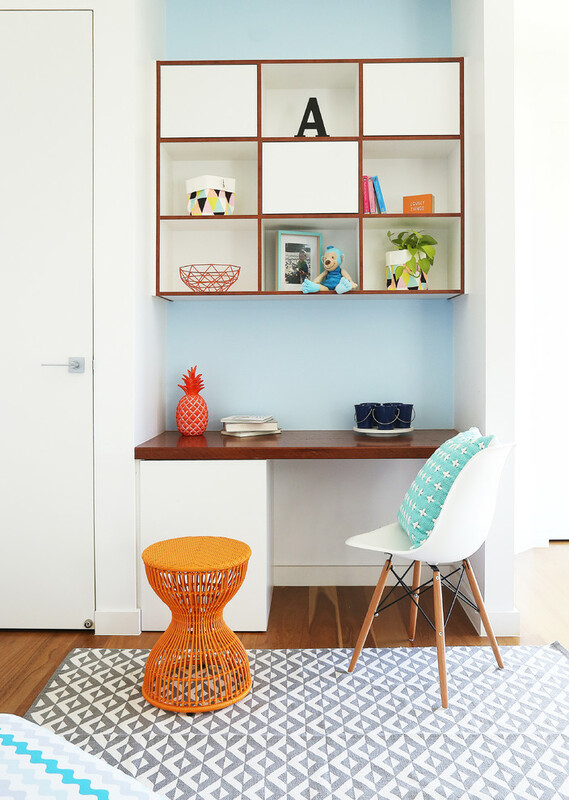 The wall organizer employs bright pop of color for an interesting look. The shape of each organizer unit is also stunning. 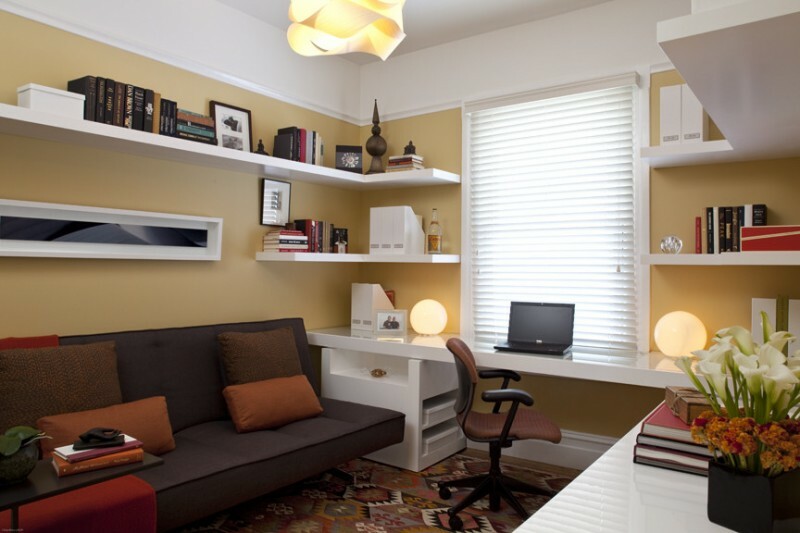 Feel huge comfort and make a fun while working in such a wonderful home office. 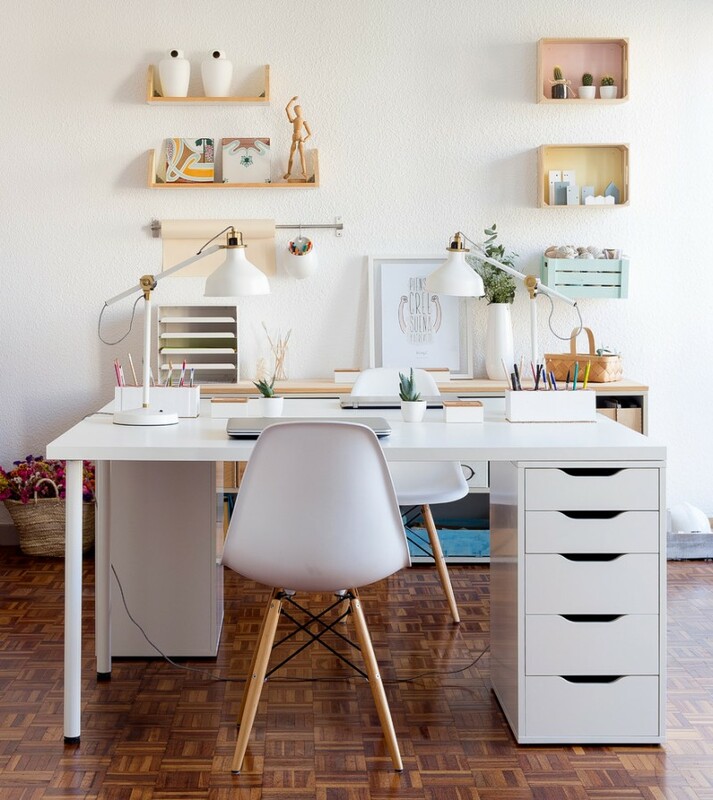 The space provides large amounts of storage solutions such as lightweight metal wall organizers and drawer system installed on working table. To make your things well-organized, complement your wall organizers with box storage units. 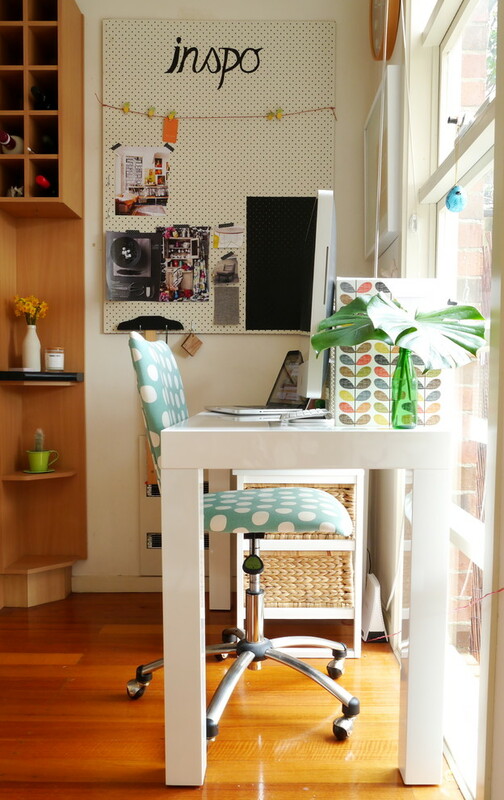 An example of low-budget home office. 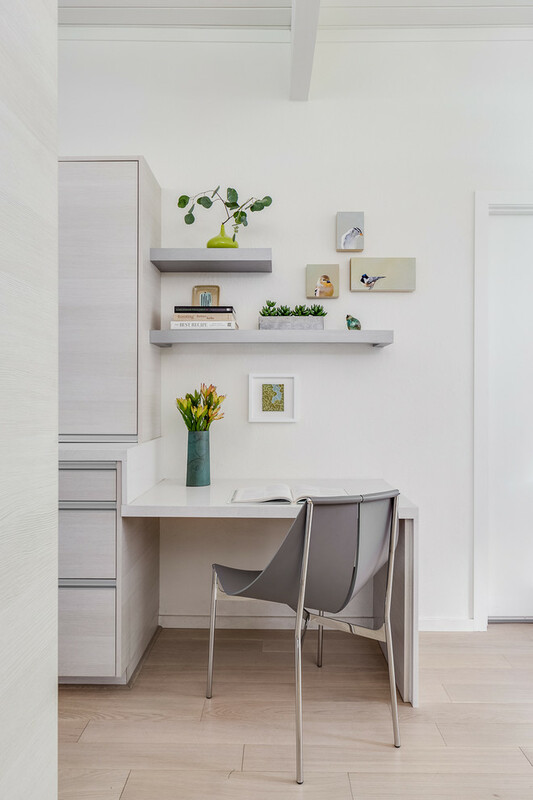 This contemporary working space has been equipped with a simple freestanding working desk in light color tone, mid century modern chair, and a floating shelf. The shelf just accommodates some books/ documents and ornamental stuffs. The black doff wall system is an ideal background for such working space. 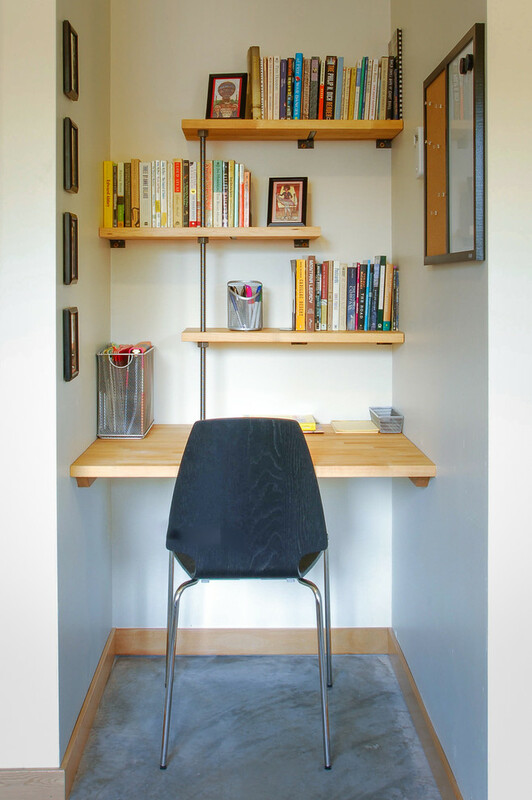 Small floating shelving units fill a corner of home office. This idea is the best option for saving space. If you’re wondering “what’s the best” for having valuable space, this wall organizer is the best answer. 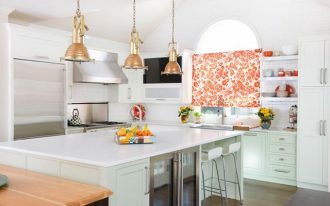 Use white and soft wood colors for a brighter and lighter space. 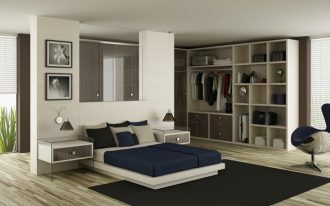 The storage solutions like huge rack and floating shelf effectively helps creating an airy space, too. Some boxes are used for making small things invincible and tidy. Create your own wall organizer with low-budget materials like wrapped-Styrofoam board for a practical messages & notes board. Here, you can also stick your fun pictures on this board. A simple board but multiple on function, right? A skylight is precisely placed above a working desk, perfectly illuminates the desk and all displayed-things stored in simple white shelves. The wall organizers look so stunning. They’re becoming a focal point that directly attract everyone visiting this desk nook. 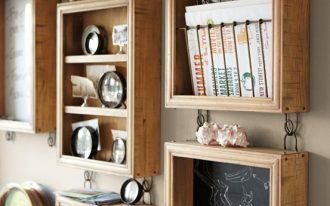 Using simple wood boards, these organizers practically save smaller decorative things perfectly. 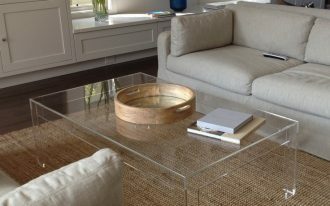 With soft tones and simple designs, they now successfully give the most interesting spots to see. 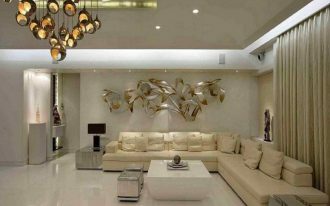 Most designers say use white and wood color to create a contemporary concept. Both evidently bring clean and airy feel. 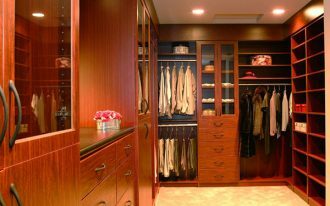 Wood floating shelving units and wall organizers in this picture, for instance, visually trigger a clean and light look. Large but practical, the words describing this wood-made wall organizer. It looks like a big vertical box with inner cabinet. The lower section is used for a printing machine and scanner. The color, additionally, is kept in original one by purpose: to expose the natural warmth of wood specimen in the middle of modern interior style. Improve your spirit up with such an amazing wall organizer for a stylish cluster of your picture frames. Sometimes such simple thing effectively drivers you to be more productive. This is a unique choice. The wall organizer is built from lightweight metals and has been designed in simply narrow look, quite matched for a narrow-corner working space. Add the wall board for sticking your fun photographs and messages/ notes related your jobs. Match the color and accent the space with modern shag rug. Minimalist wall organizer idea consisting of wall board and floating shelves. Both organizers are designed for different use, so you have more storage options. Another minimalist wall organizer idea in pop of colors. Each unit has been clustered as a bigger shelving unit, being a stylish storage solution. Apply it on clean white wall system for a beautiful contrast. This wall organizer is simply made of Styrofoam sticking on wall. This board is good as a whiteboard/ chalkboard in which you can put the messages, notes, and schedules here. You can also use remaining space for your fun photographs. The ladder, in addition, isn’t just a decorative item, but it’ also another alternative of storage unit. 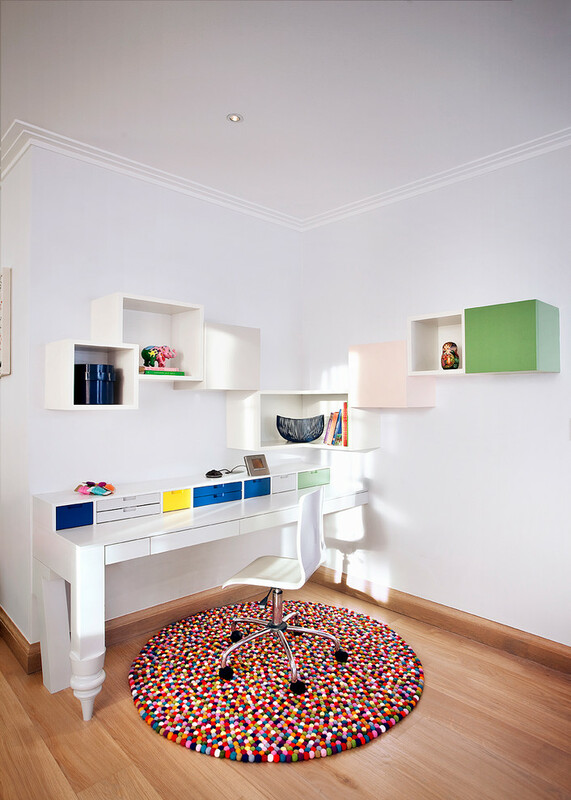 A contemporary kids’ desk idea with clean & gentle texture. 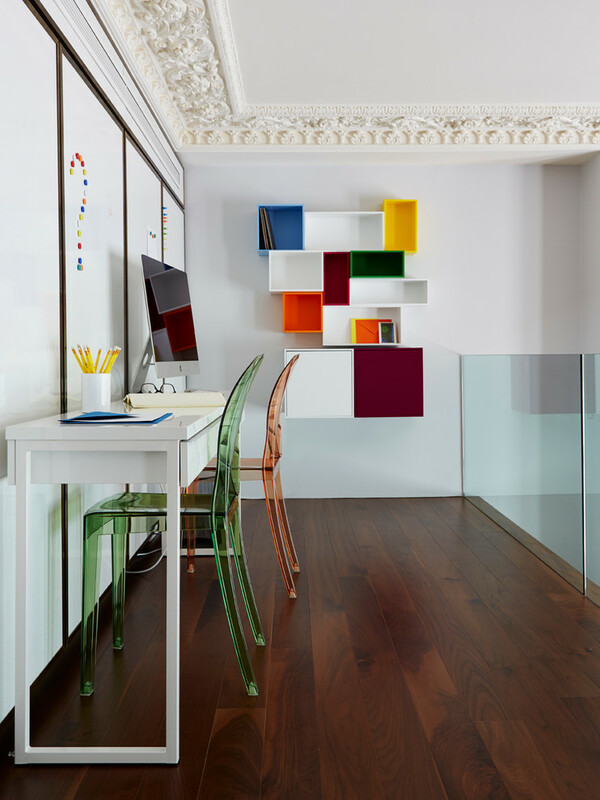 This sleek study desk really fits the bespoke shelves mounted on walls. 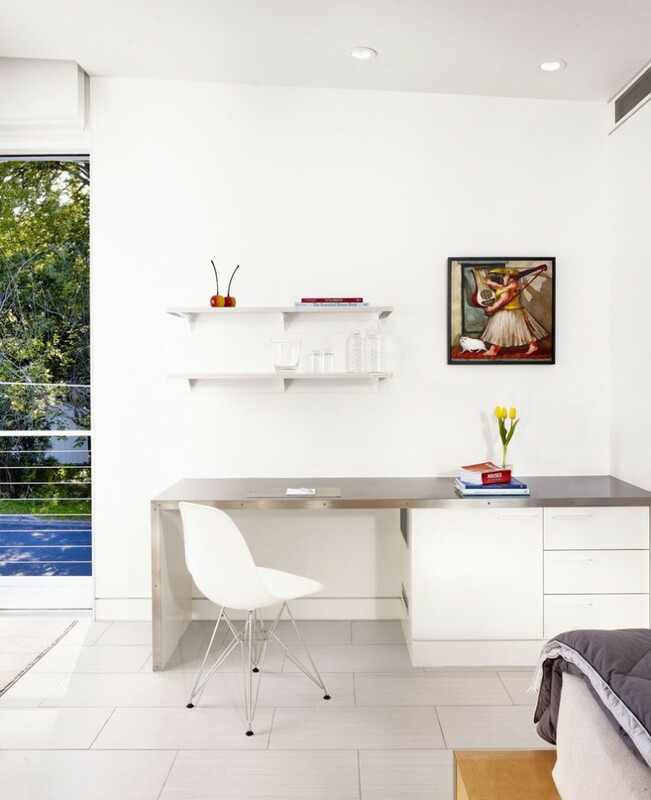 White movable chair perfectly complements the space. Different to previous wall board organizers, this one is made of wood board finished in orange. It’s as effective as a chalkboard or whiteboard which can be used for writing down the notes, messages, schedules, and other important writings. 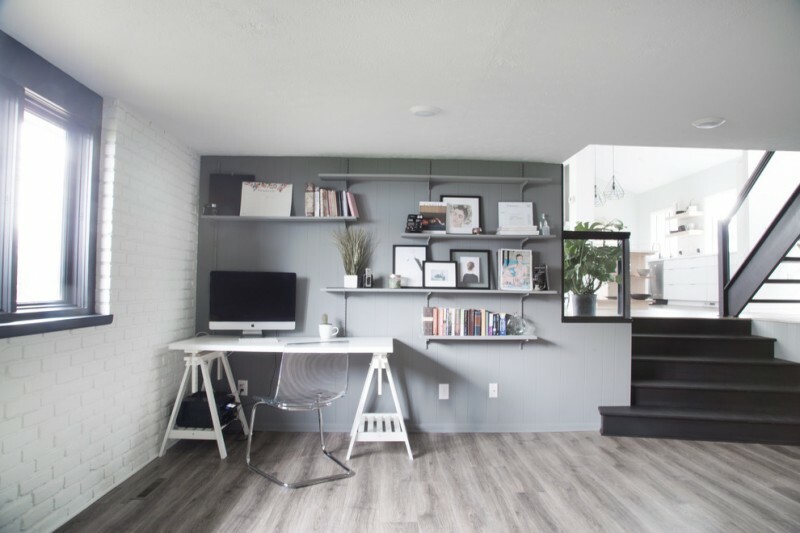 A ladder shelving idea is another alternative of storage solution when you need the space for keeping and organizing your books, documents, papers, or even magazines. 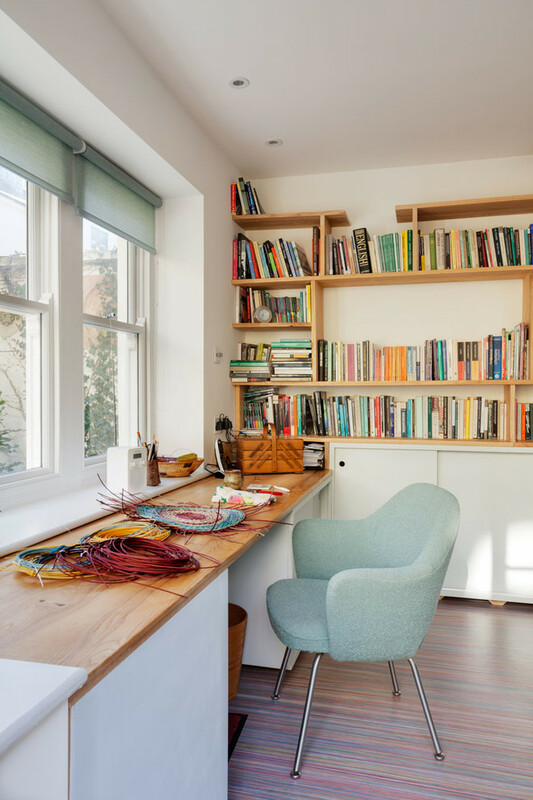 Custom floating wall shelves quite highlight this working space. Moreover, their green finishing creates so refreshing look. 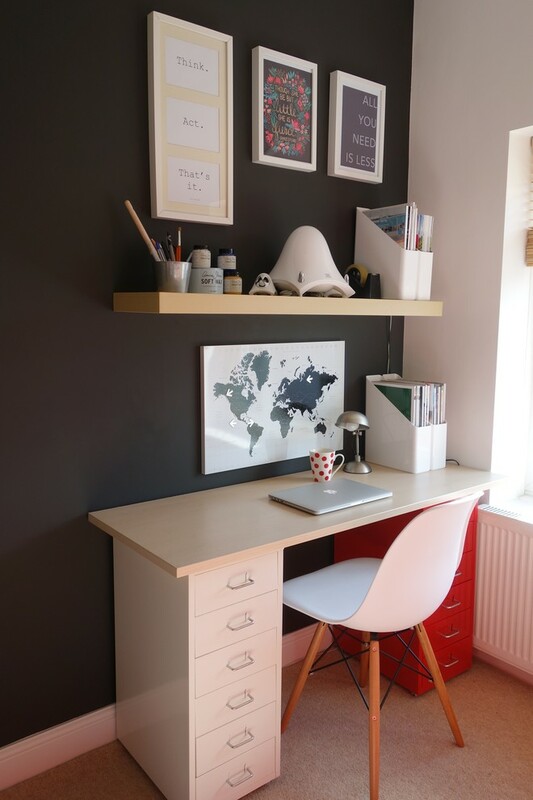 Quite matches for a loft home office. White wall shelving unit is always clean but stunning. To break a monotone look, use pop of colors for several interior items such as wall arts, accessories, and even the furniture. A corner wall shelving unit becomes the best alternate for huge amounts of storage space. Use durable but easy-to-build materials like wood specimen for such an endless wall organizer. Why corner? 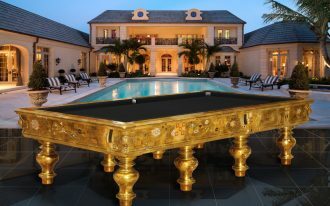 It isn’t stylish, but it’s also space-efficient, particularly for providing a valuable floor space. It’s gonna be much more interesting if you add LED light bars in your wall shelves. Why? It’s quite decorative and well-illuminating as well. An interesting wall organizer with maple finishing. The organizer consists of several chambers for different stored items such as books, small ornaments, or even decorative sculptures. 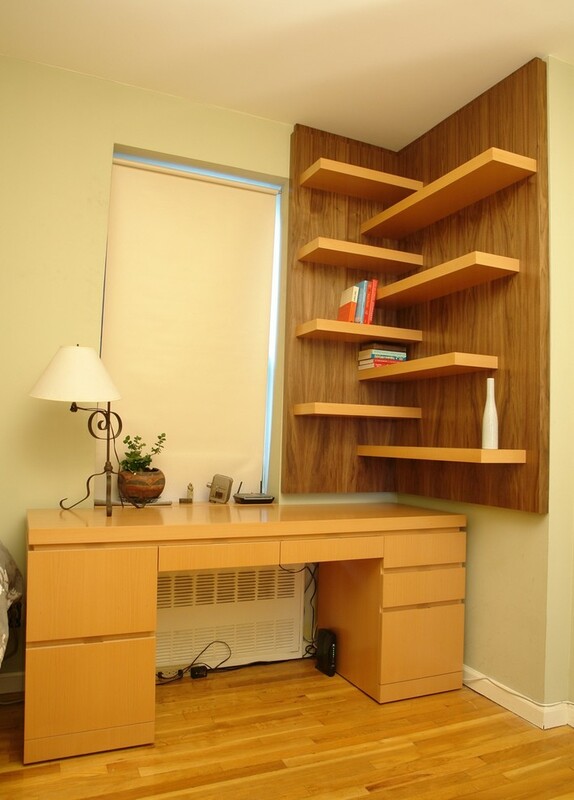 Walnut wall shelves featuring a custom working desk, offering a harmonious look for both. The shelves are 2 inch thickness and cantilevered for creating a floating visual effect. Light and quiet feel working space idea. White and grey dominate this space, bringing a simple yet cold-sense interior. The wall shelves are smaller and designed only for small-potted greens and some books. Here, you’ll see the wall shelves along the wall, providing huge space for books, picture frames, and other essential office needs. They are covered in grey finishing, a contrasting but balancing color tone for white & black. Still about the wall shelves for home offices, this one is built along the wall, letting you have so much storage space. White is selected as the shelves’ finishing due to its marked contrast against the mustard yellow walls. Contemporary high-rise as a wall organizer. Maroon is elegant. It’s gonna be an expensive and luxurious tone when it’s combined with most neutral tone, black. 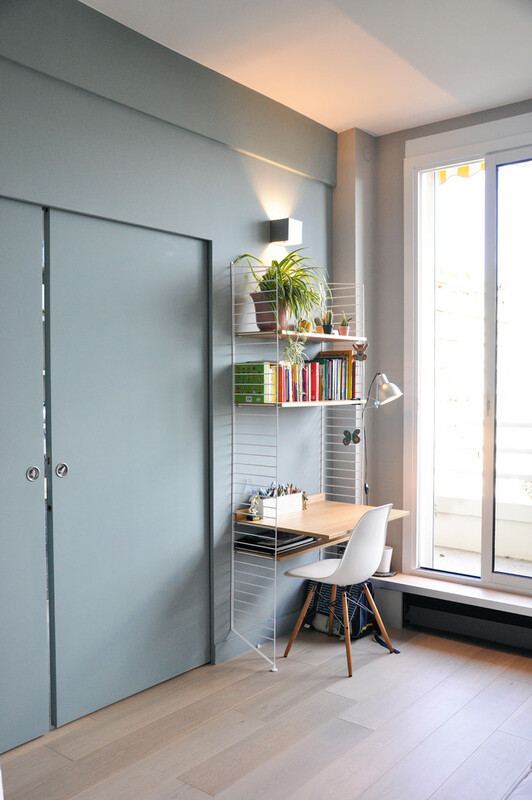 Select door-included shelves for a tidy look. 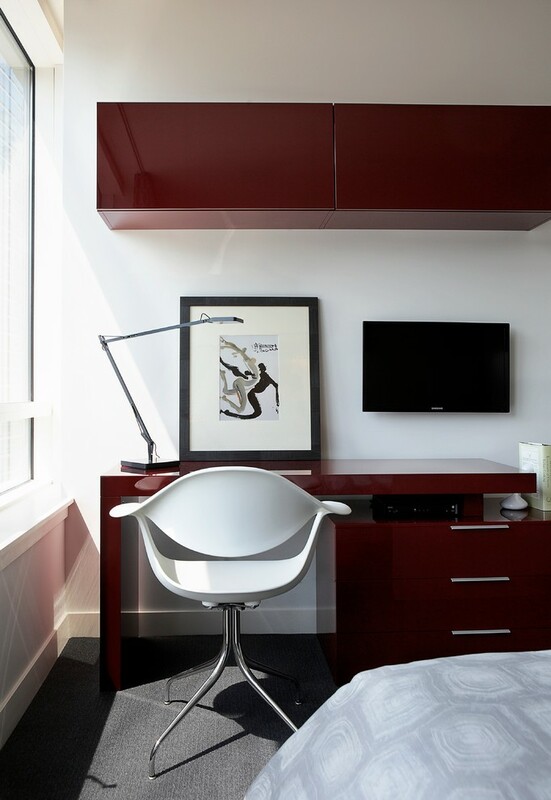 Create a pleasing study interior in simple design like this. 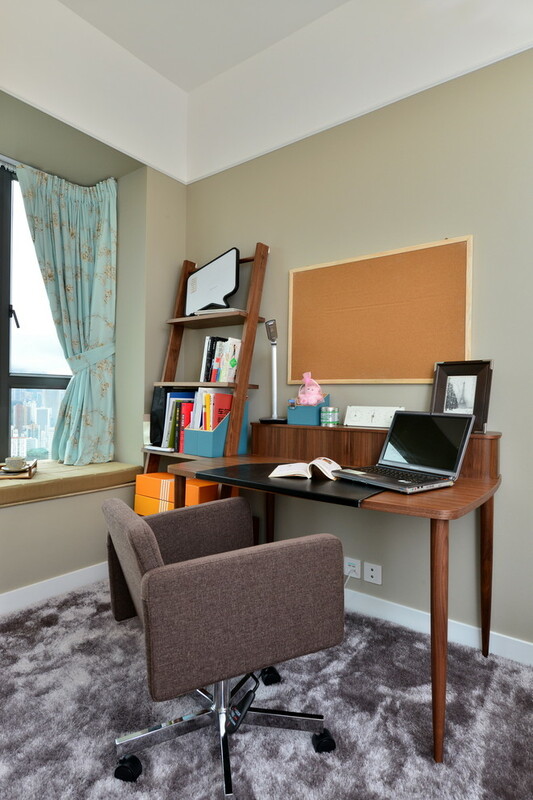 Use your favorite color to accent your study space and involve such a modern furniture set for accommodating your daily activities. 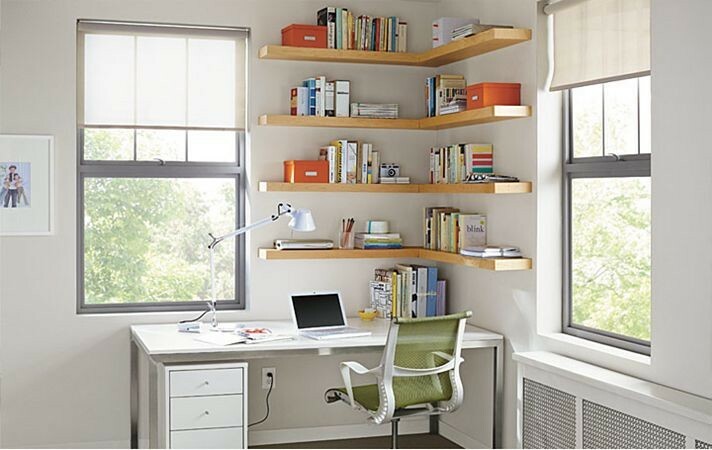 Wood floating wall organizers aren’t bad choice to complement your study room. 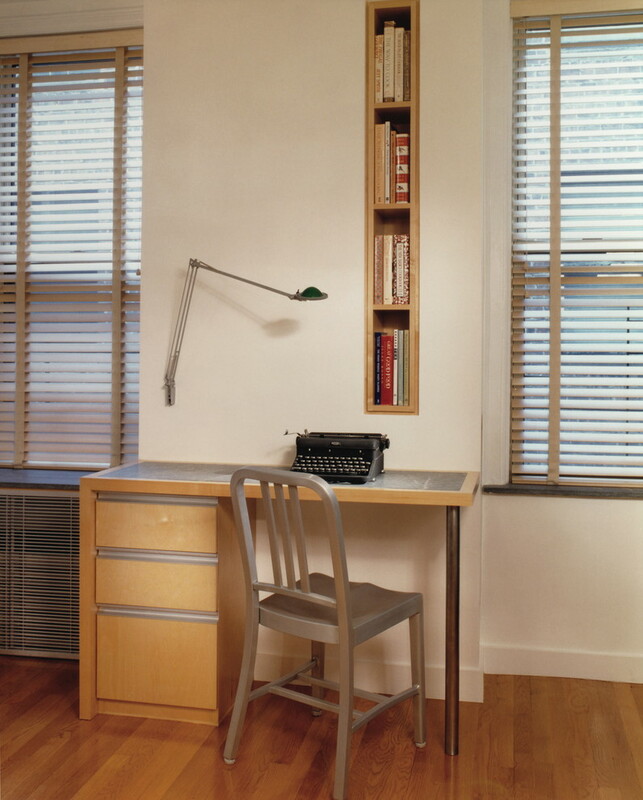 A narrow recessed wall organizer is also the best option of storage solution for small-space home office. 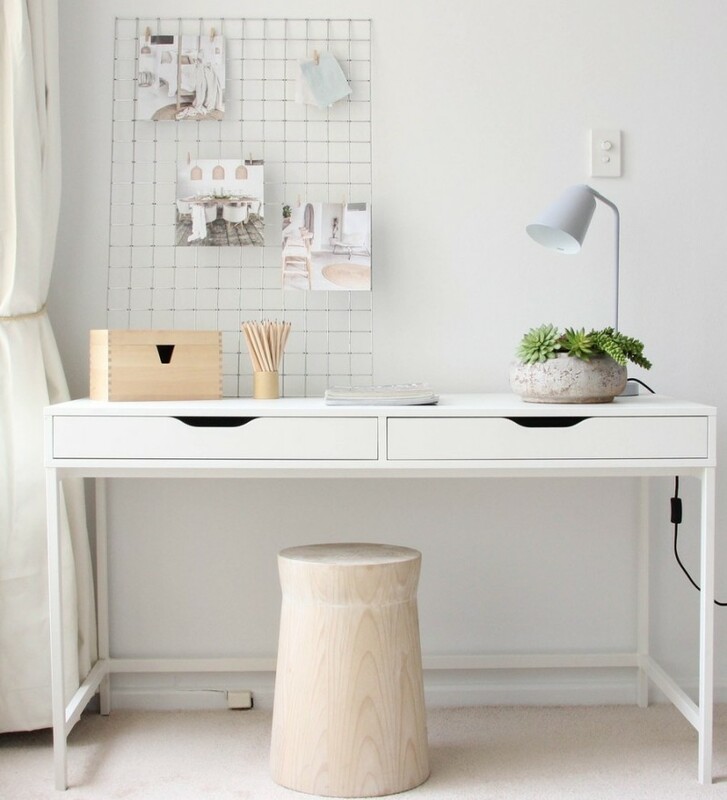 Add wood frames for a natural look as same as the desk finishing. 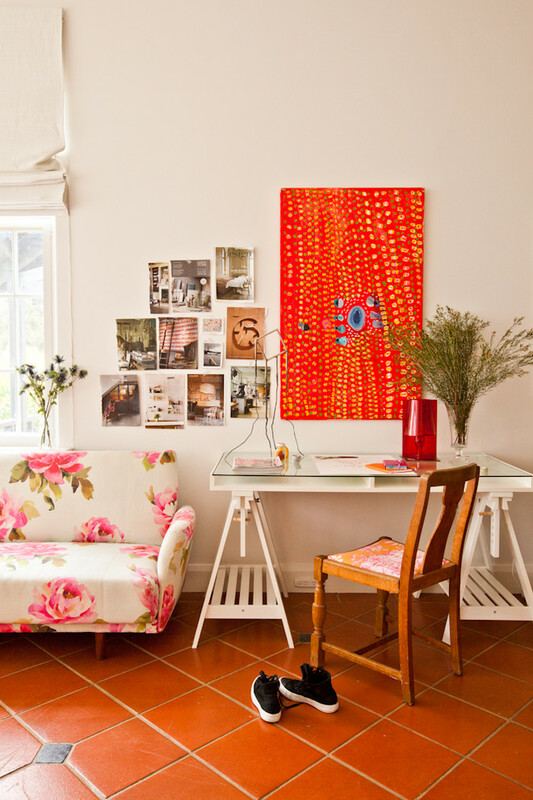 An eclectic home office accented with pop of colors. The pop of colors are well applied on wall board organizer and sofa, bringing a fresh and fun look in this space. 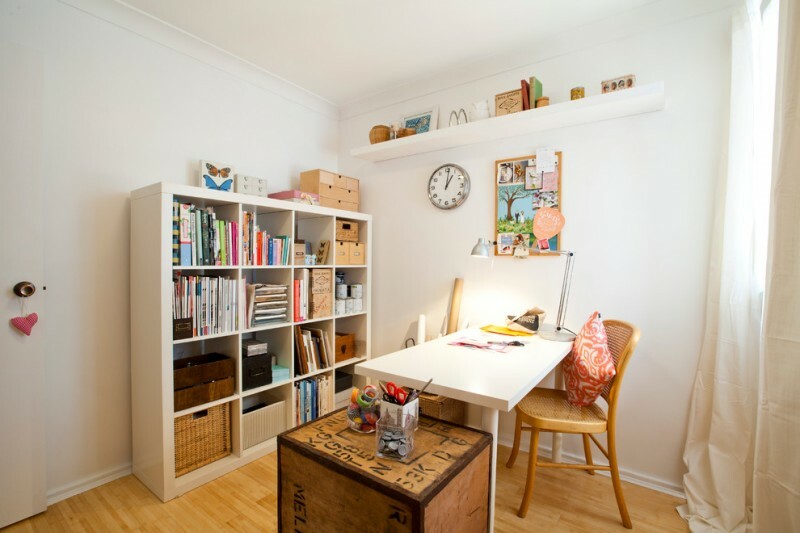 Working or studying will become a pleasing moment with such a marvelous room. 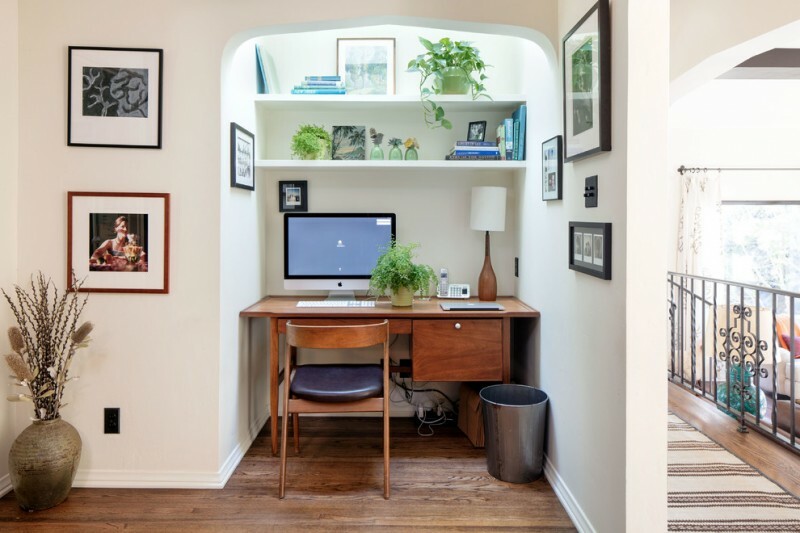 A small home office highlighted by light textures and fresh potted plants. Old and shabby barn wall shelf gives modern rustic flavor. Several glass bottles and mason jar are specifically used for saving waters and supplies. 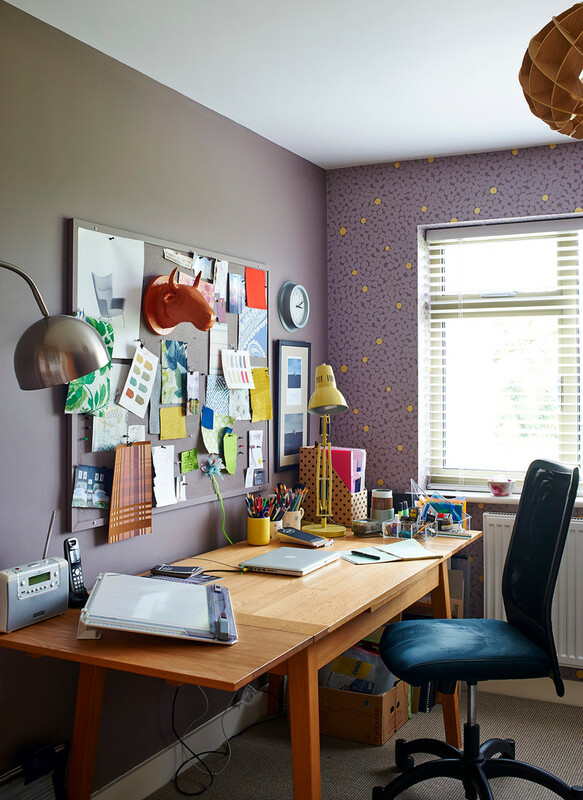 Maximize your storage space in your small home office by adopting such a simple wall organizers. The organizers come with three pieces of wood boards which then are supported by durable metal bar. Arrange them randomly for a non-monotone look. 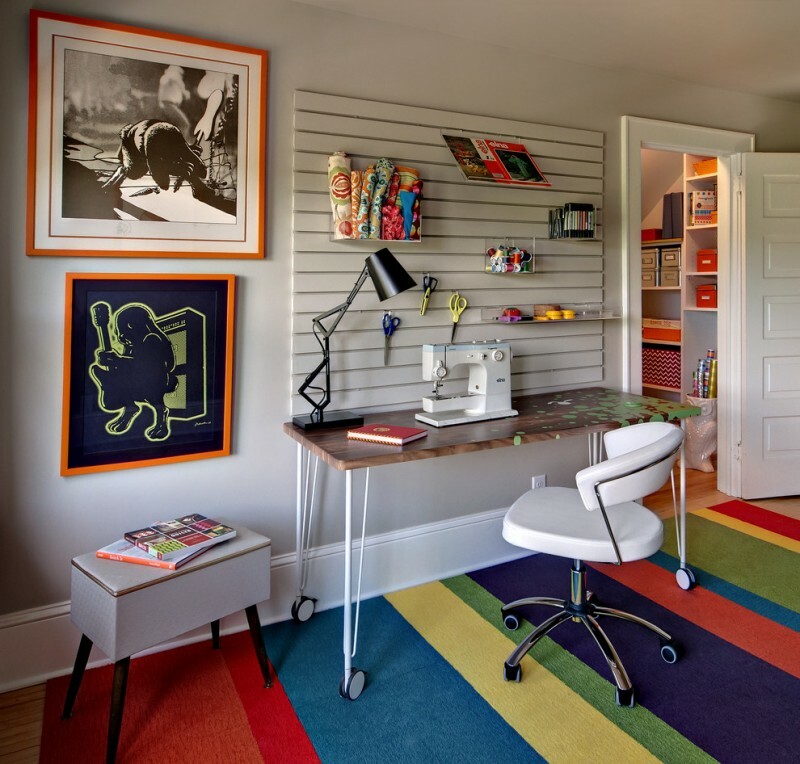 An inspiring kids’ study room complete with stylish & modern wall organizers. Uniquely, there are several chambers with permanent door panels, so they can’t be used for the additional storage space. The other chambers, in addition, effectively accommodate the kids’ stuffs. 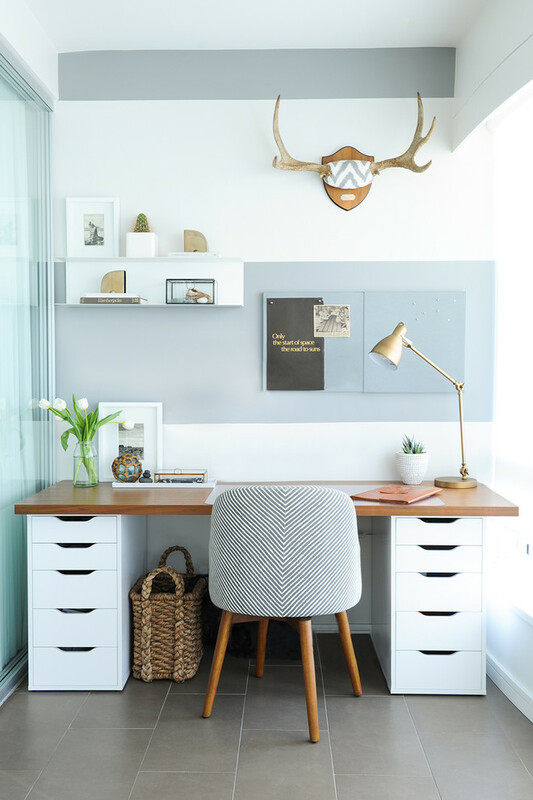 Again, white and wood colors are dominating the home offices. The combination creates clean and warm for interior. 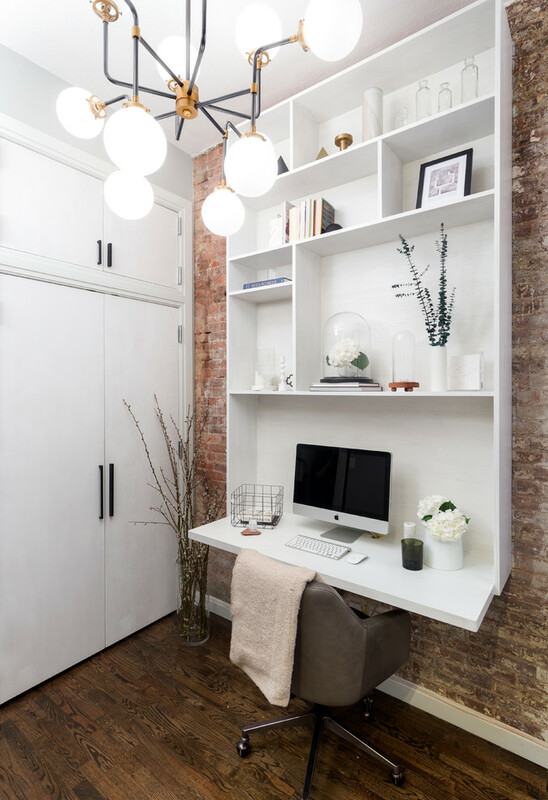 In this private working space, you’ll see a simple white cabinet mounted on wall, providing saver and bigger-space storage idea. Simple, clean, and pale. 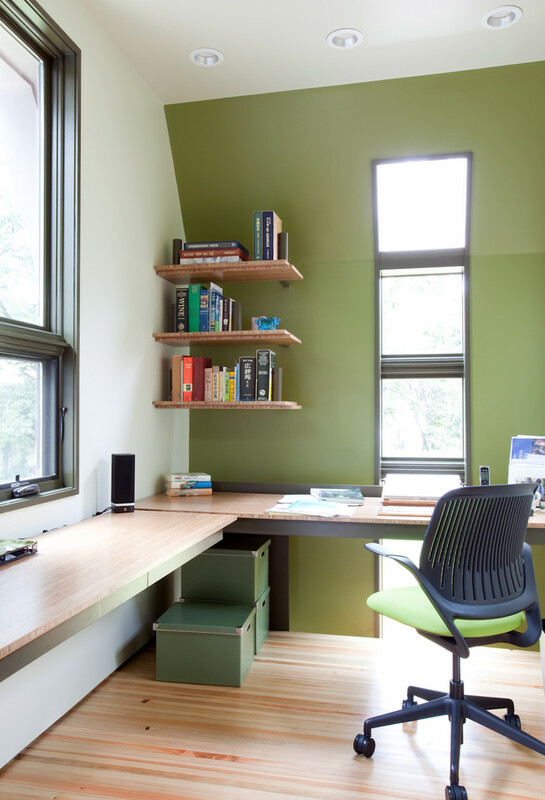 This small home office exposes the dominance of wood and metal uses applied on furniture and shelf. The shelf is purely made of wood but the cabinets are clearly built from fabricated material. Both are in same design, modern, but totally different in finishing and color, offering more variants of look, right? A contrary look between the wall background and built-in desk. 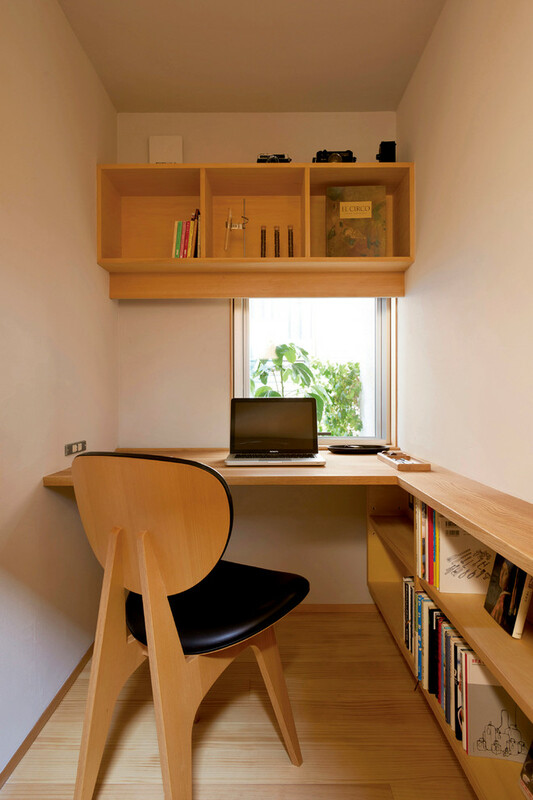 The desk’s size offers big amounts of storage space including the shelves and the desk itself. They are in one frame and amazingly installed in such cool shabby red bricks walls. Modern vs rustic, right? This ladder is creatively used as an amazing wall organizer for hanging the photographs or notes. It’s always fun to have such a creative thing built by ourselves. It improves our creativity, especially for building something simple but quite useful for ourselves.